gorjuss Featuring the charming Ladybird artwork, in full length on the front and in captivating close up on the reverse, this purse is an essential accessory with which to store your pennies. 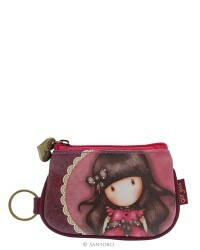 gorjuss Collect and store your change in this handy keyring purse. 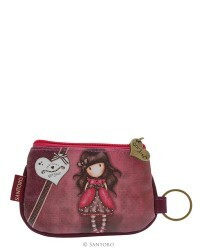 gorjuss Keep your pennies in this pretty purse featuring the wonderful We Can All Shine. gorjuss Open the jet black zip to find your money against the dark flock print lining. gorjuss Not only is the purse coated it also has a handy keyring, perfect for the adventurer in us.